What’s Happening… – WAG, Inc.
We hope you enjoy our new website format and that you find all the information you need. So many tunnels...so little time! New...Online Entries are now being offered for WAG trials, Camping Reservations and Fun Matches. You can learn more by looking for the icon at the right on the premiums/entries page or the Camping Form page. If you want to know how PayPal works and the fees - click on the online icon at the right. Always fun things happening at WAG, Inc. Thanks everyone that helped in making the Morris Animal Foundation K9 Cancer walk another success. 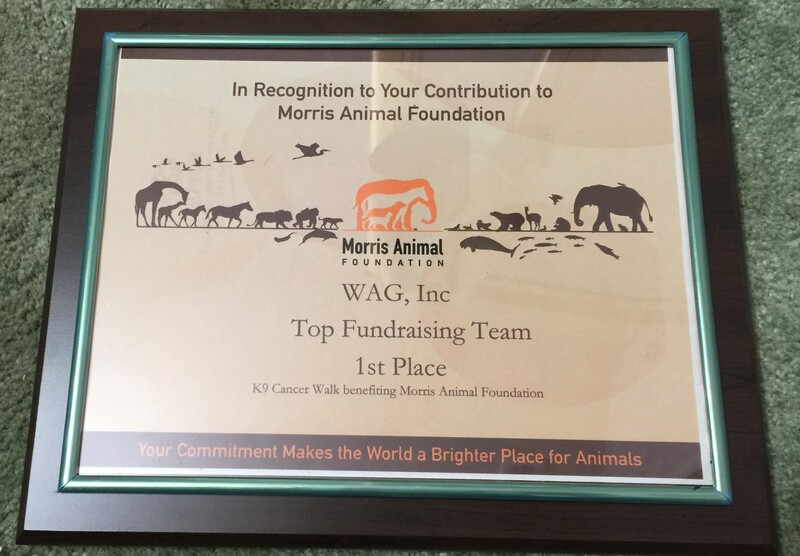 The WAG team was once again the top fundraising team. We hope to return again for a future event.